BHOPAl: The three-year-old tigress, which was captured from Panna Tiger Reserve, was released in Satpura National Park on Sunday evening One of three cubs born in 2013 in Panna reserve, the tigress, P213-23, strayed into nearby villages leading to conflict with humans. She lifted cattle from Korun Ghagran village near Panna Tiger Reserve, forest officials said. After a shot of tranquiliser by joint team of the two parks in late afternoon, the tigress was transported in a truck. A veterinarian, Dr Sanjeev Gupta and other staff were part of the team that went to transclocate the tigress covering a 350-km journey. They reached Satpura on Saturday evening. In 2015, this radio-collared tigress wandered in jungles of Ranipura sanctuary in Chitrakoot, a district in Uttar Pradesh with some of its geographical area located in Satna district of the state. Wildlife activist Ajay Dubey claims that Satpura National Park does not have adequate safety for tigers. A radio-collared tiger was poached in August last year and investigations revealed the big cat was killed for 'sorcery'. Thirteen people, including a government school teacher of Chhindwara district, were arrested in month for their role in killing of the big cat. 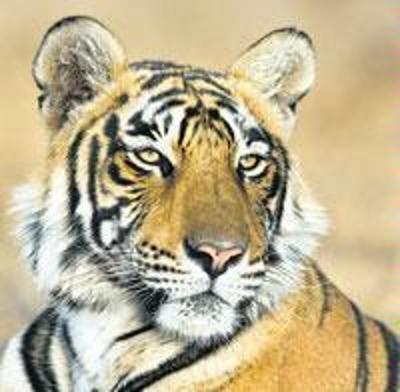 The tiger was shifted from Bandhavgarh Tiger Reserve to Satpura.